If you are like most people today, you have a digital camera and countless photos of your family and friends. Those pictures can freeze a moment of time forever. Those moments are sacred to many of us, and we could not bear the thought of losing them forever due to an accidental deletion or data corruption or having our camera exposed to liquid. If you ever need photo recovery in the Toronto area, or anywhere else in Canada or the USA, call us. T.I.M. Data Recovery of Toronto can recover your lost photos. Toronto residents, and others in the rest of Canada and the USA, have been using our data recovery services for years and recommend us to others. T.I.M. Data Recovery of Toronto offers digital photo recovery fast and at reasonable prices. Digital photo recovery can be tricky and we definitely do not recommend that you should try to do recovery of lost digital images on your own unless you are highly trained, because you can easily lose your precious digital photos forever. Our professional team of experienced data recovery experts can do photo recovery in Toronto, photo recovery in Richmond Hill photo recovery in Vaughan, or photo recovery in the GTA at a reasonable rate. 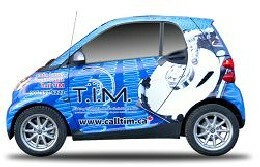 Our team at T.I.M. Data Recovery can assist if you have a damaged digital camera, if your photo files have been corrupted, if you accidentally delete your photos, if your computer or storage device has been damaged or if you accidentally reformatted your storage device or hard drive. We can assist if you have physical damage, or fire or water damage to your device.